First, this outdoor classroom will serve as a perfect location for lecture and discussion in a typical class lesson. Clearly some lesson plans are a better fit with an outdoor classroom than others, for example reading and discussing a novel in literature class would be more compatible with an outdoor classroom than a math lesson where calculations need to be drawn on a display board. Another example, the art teacher may bring his/her students outdoors with sketch pads and ask them to draw something they see. There could be a sign-up sheet in the principal’s office, designating usage per hour, served on a first-come, first-serve basis. The outdoor classroom is a perfect spot to have lecture and discussion because the half-circle shape allows the leader (teacher) to be at the center of the circle. Here, he or she can talk directly to the class and maintain eye contact. During discussion, most students will be able to see every other student (sometimes from behind), which would aid in bonding and collaboration when discussing relevant school topics. Also, this would be a great area for students to complete any silent reading activities. The space gives enough area for students to sit and lounge, either on the seating stones or the grass, and enjoy reading a book. Although the area will be shaded, there should still be enough natural light to read small words in a novel. I remember having a hard time concentrating when doing silent reading activities in school. This is because there was always something distracting in the classroom. When outdoors, it is a more relaxed environment, which facilitates reading. Since the seating stones are flat, they are also useful when completing worksheets or workbook, individually or with a partner. All of this and more can be anticipated behaviors seen in the outdoor classroom. As Chawla (2007) explained in her research, pro-environmental behaviors are usually connected with positive experiences in nature at younger ages. 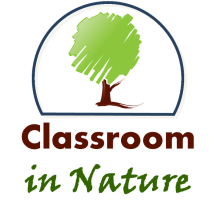 And so, it is my hope that this outdoor classroom will serve as a wonderfully positive experience for children, that later in life they would become more environmentally-conscious and help protect and conserve the natural resources available on the planet.